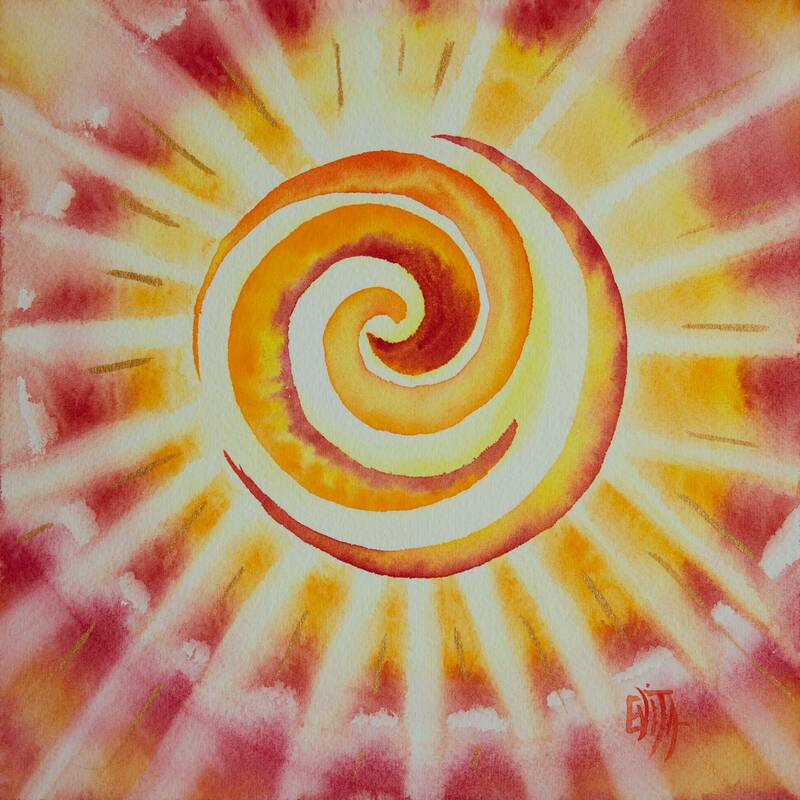 The Sun is shining and summer is all around. Continuing the new series "Playing in the magical sandbox of potentials" I have arrived at my place of warmth, creativity, cosiness. 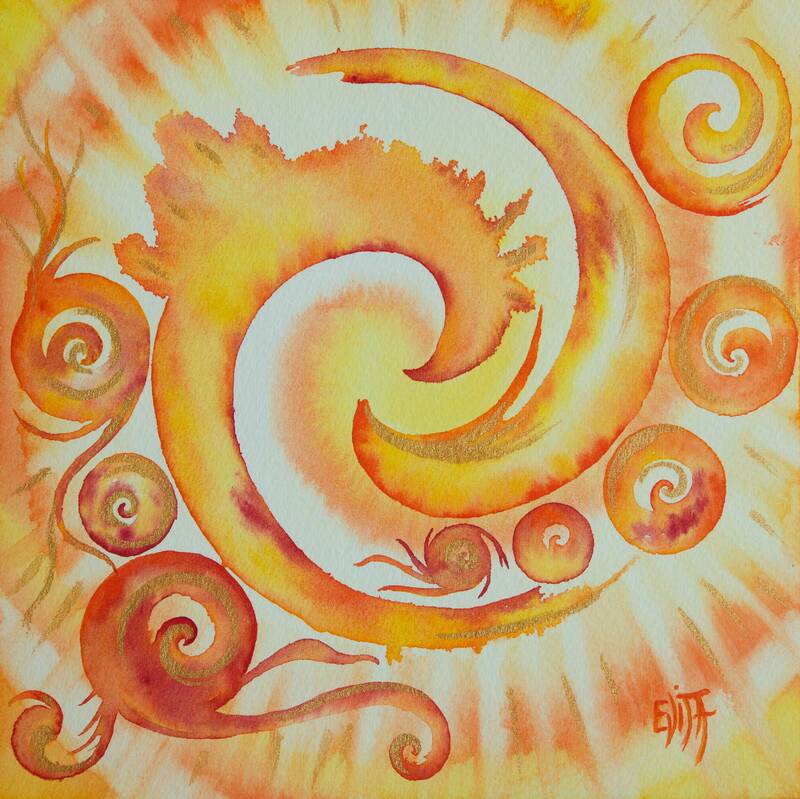 Painting with yellow + red creating orange reminded me the flow of creativity I experienced on the Big island of Hawaii on January-March 2013...If this transcendental feeling of home exists then it is palpable and sensible there on Hawaii islands ... my cosmic creation place, bliss for body and soul. 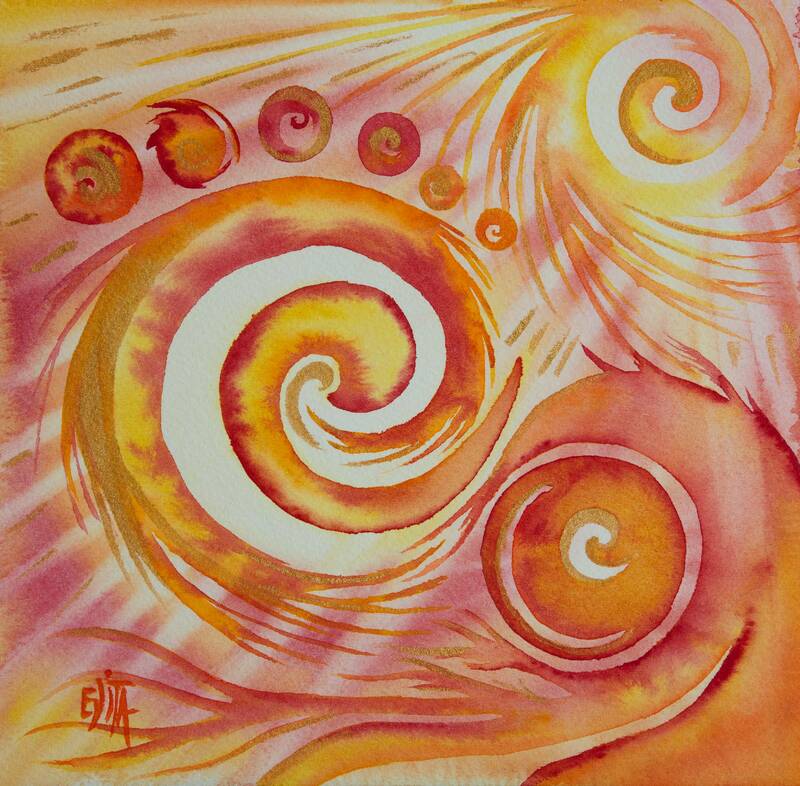 Before we arrived there I have not been experiencing nostalgia or homesickness, nor longing to land one day on Hawaii. Many do have this... for me it is now, it happened after tasting this wondrous feeling. 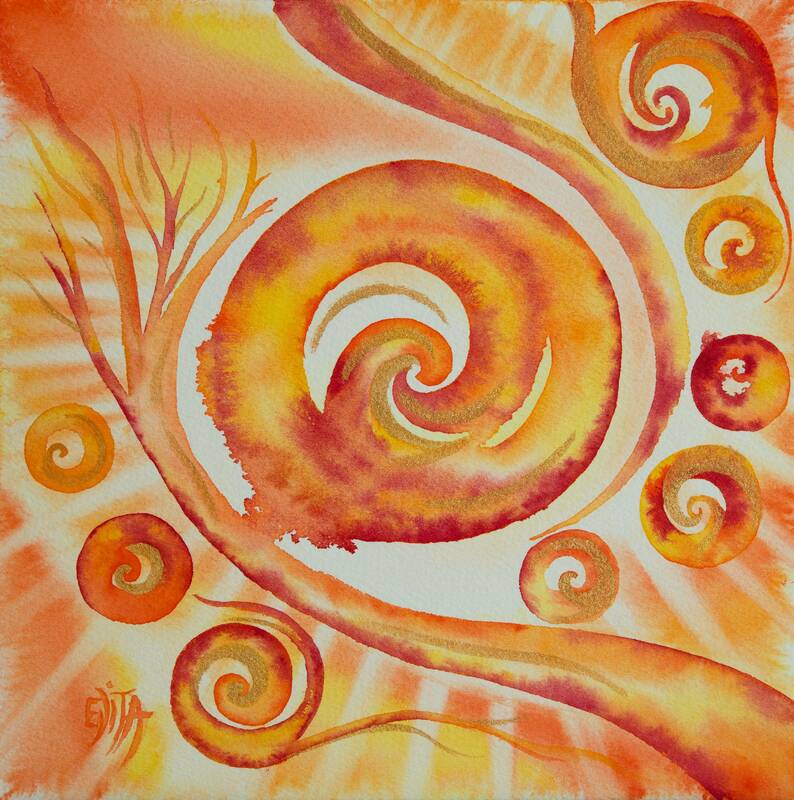 INQUIRY "Resilience", 20 x 20 cm, watercolor on Arches paper, original available. 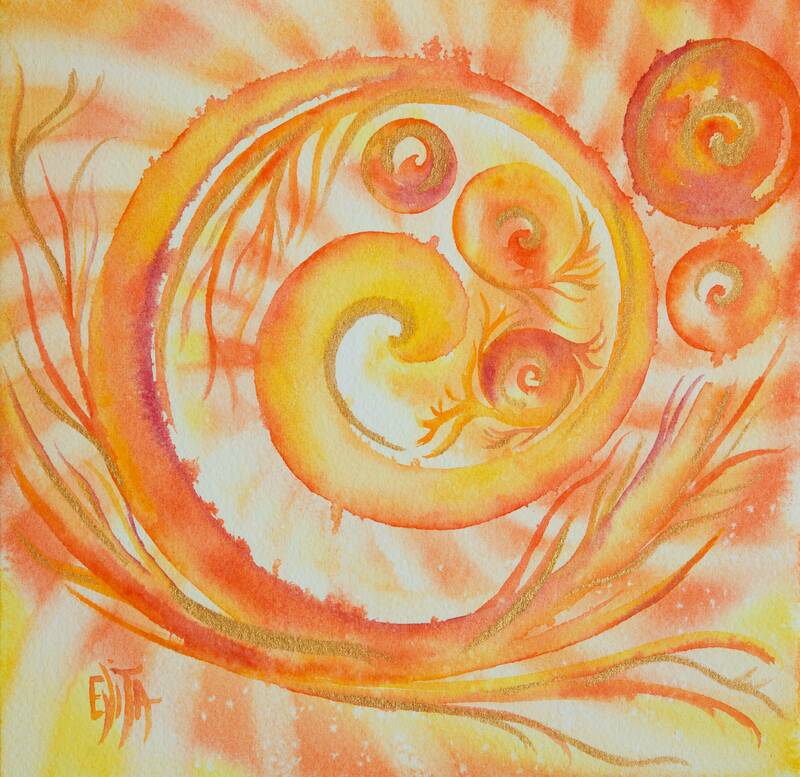 INQUIRY "The nurturing embrace", 20 x 20 cm, watercolor on Arches paper, original available. 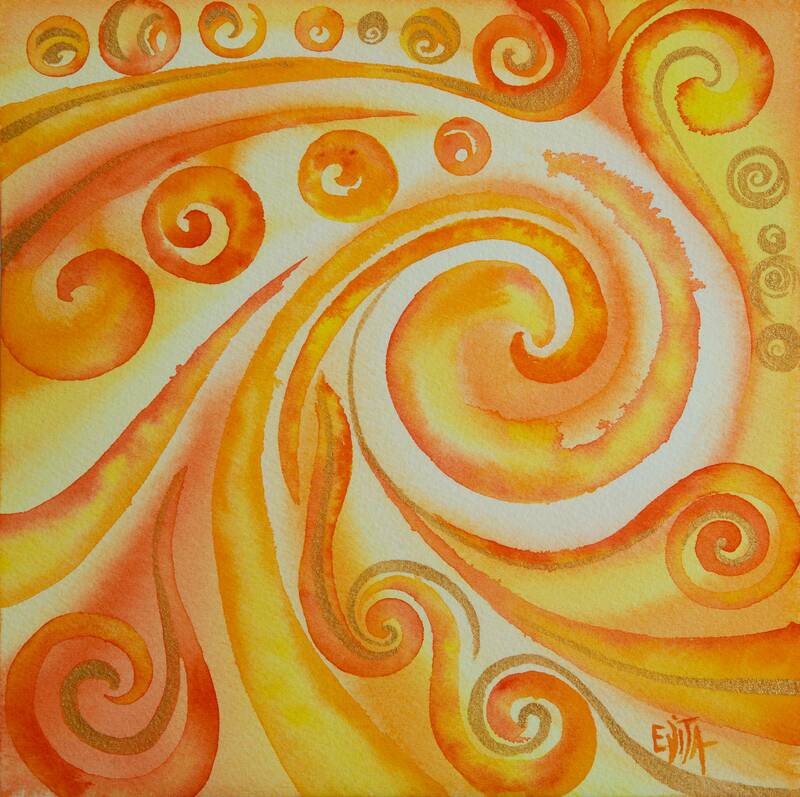 INQUIRY "The warmth", 20 x 20 cm, watercolor on Arches paper, original available. 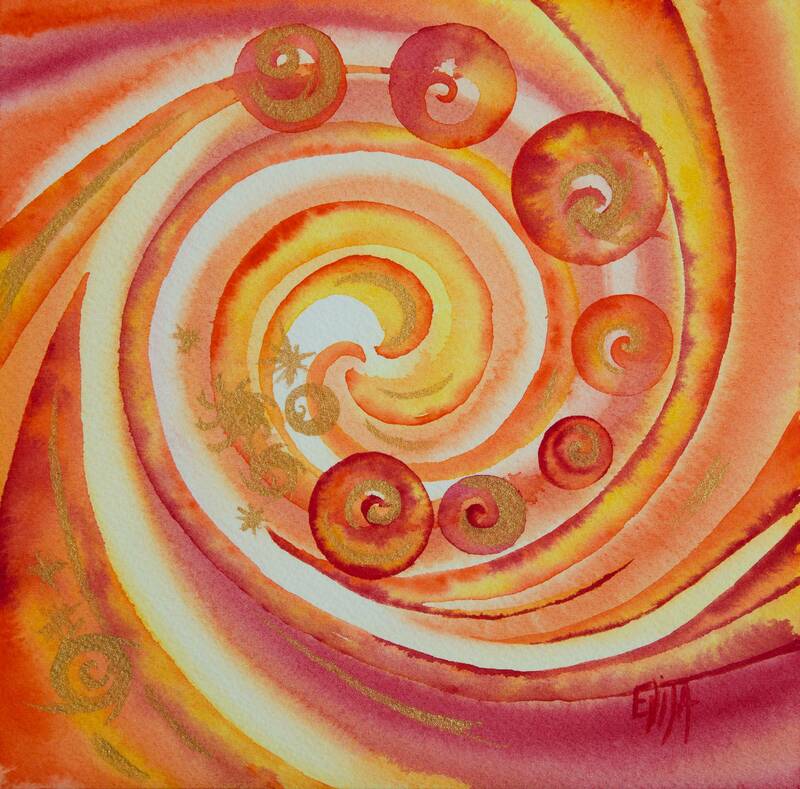 INQUIRY "The Effervescence", 20 x 20 cm, watercolor on Arches paper, original available. 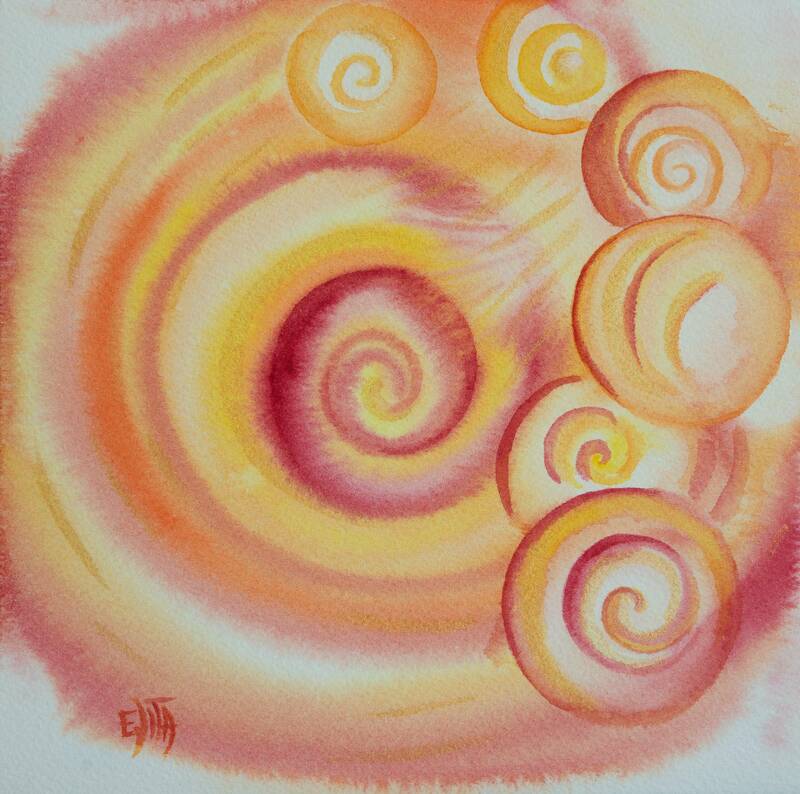 INQUIRY "The purity of intentions", 20 x 20 cm, watercolor on Arches paper, original available. 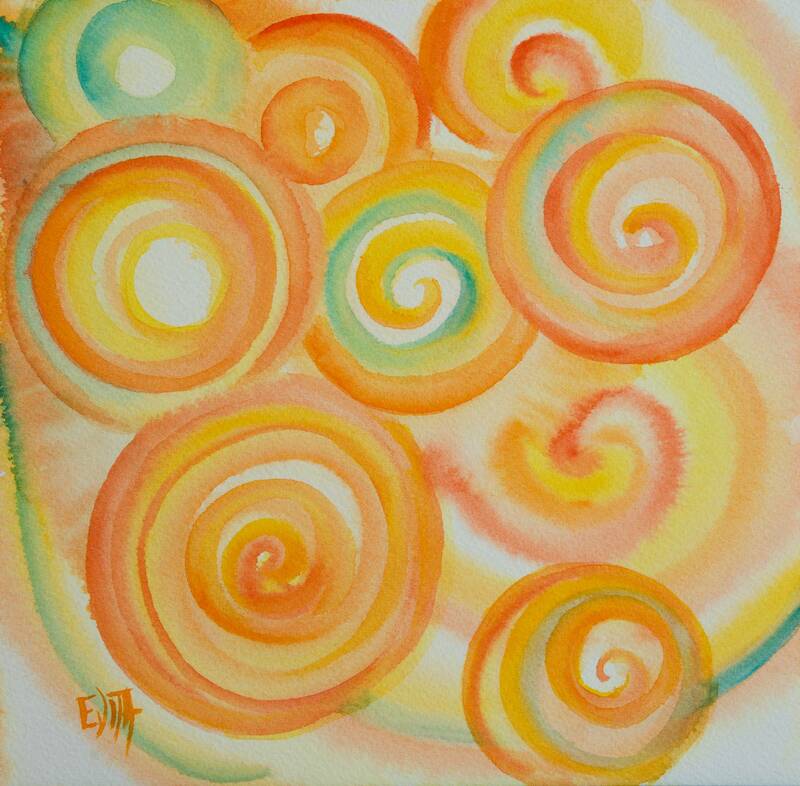 INQUIRY "The Playfullness", 20 x 20 cm, watercolor on Arches paper, original available. 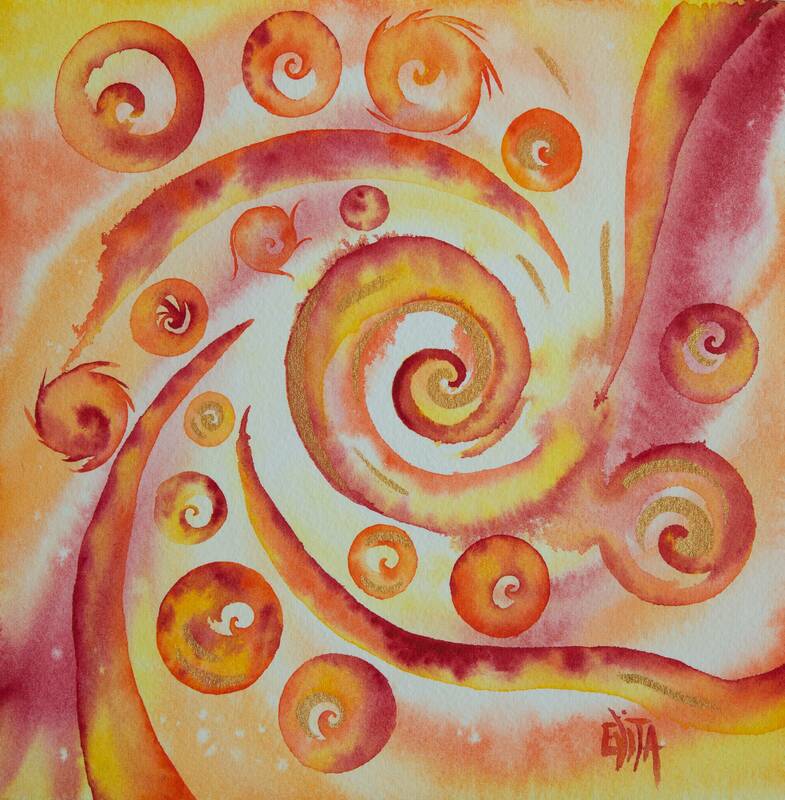 INQUIRY 20 x 20 cm, watercolor on Arches paper, original available. 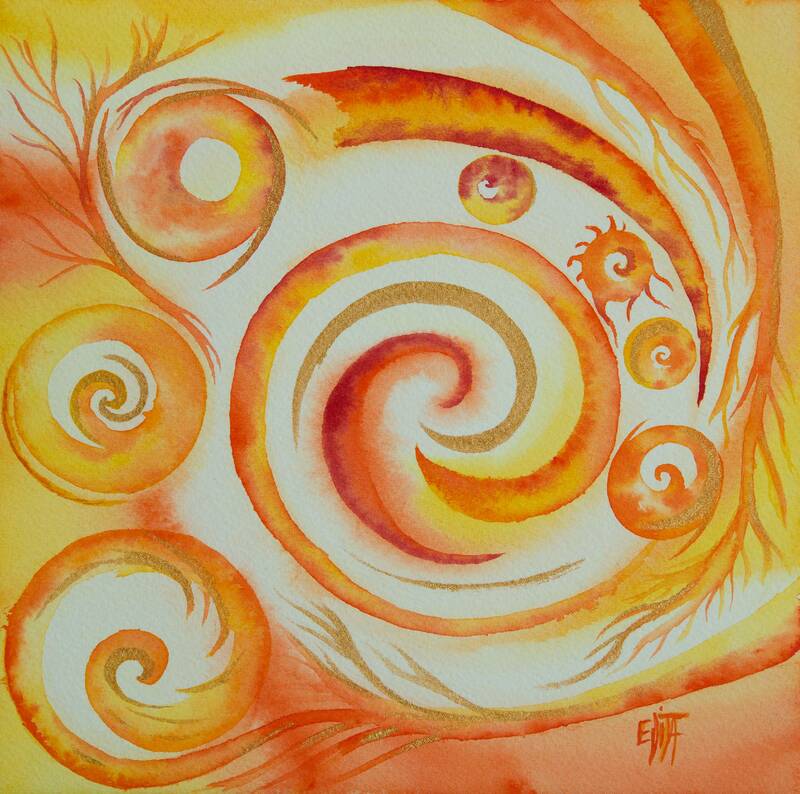 INQUIRY "The Homelike feeling", 20 x 20 cm, watercolor on Arches paper, original available. 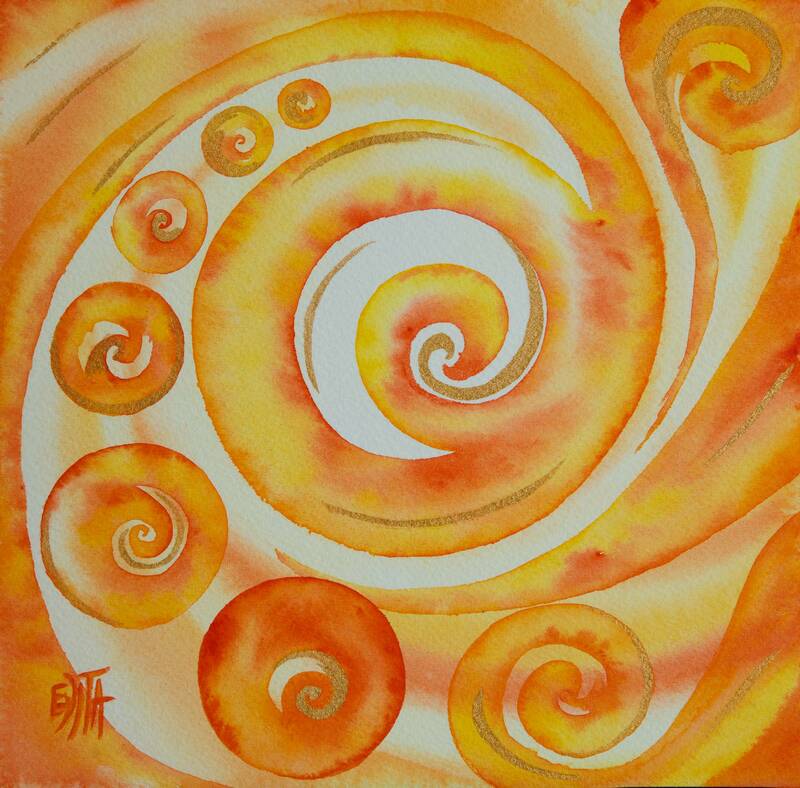 INQUIRY "Summary", 20 x 20 cm, watercolor on Arches paper, original available.